George is a copywriter. A very good copywriter. He has worked for leading design, marketing, branding and digital agencies such as Pollitt and Partners, D8, Hornall Andersen, Space Worldwide, Brandwidth and Oliver. Having made the decision to set up his own business he required a website that was professional, yet personal. Being a writer, a blog was paramount, as was the ability to edit all the content easily. Messaging would not be a problem. The design to deliver the message was the only thing that needed solving. We prepared an initial visual, and sent it to George so he could see the framework, and suggested space for his copy. Working in this fashion ensured a clean, modern design was reached that showcases George’s expertise perfectly. Email marketing templates have also been designed that make staying in touch with clients old, and new, a cinch. With a client list including Samsung, Barclays, Rolls Royce and Vodafone his new website is perfectly placed to grow his business further. 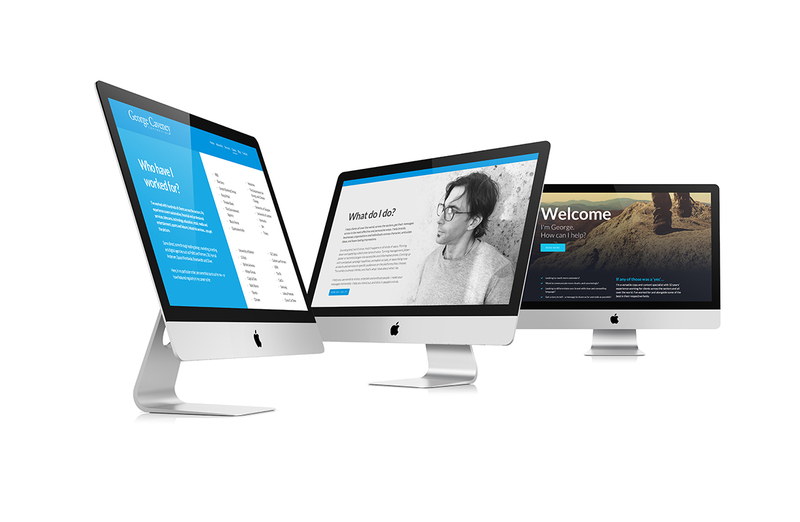 The site was developed as part of our web design Manchester offering, and George was delighted with both the process and end product.